Hall of the Mountain King: Review: Dee Snider, "Dee Does Broadway"
You can thank a couple of warped senses of humor for this gem: The idea for Dee Does Broadway was born out of voicemails that the Twisted Sister frontman and Alice Cooper exchanged, each singing show tunes to the other. My only complaint is that, among the guest stars on this record, he couldn’t get Alice to drop by and do something with him. The prime candidate for a Cooper/Snider duet? : “The Ballad of Sweeney Todd.” If ever there was a show tune made for a creepy, crazy metal treatment, this is it, and Snider’s version is fantastic. The song is very much in the vein of an Alice Cooper tune, by turns sinister and funny and completely over the top – sort of like the show it comes from. It’s far and away the best performance on the album, but definitely not the only good one. One that’s a little more surprising perhaps, but in the same vein, is “Whatever Lola Wants,” featuring Bebe Neuwirth. It also veers off into a fairly dark Alice Cooper-like territory. Neuwirth’s softer vocals are perfect for the devilish seductress bit. Some of the songs withstand the transition to hard rock better than others. “Cabaret” and “Razzle Dazzle,” strangely, end up sounding very much like Twisted Sister tracks – maybe something off one of their lighter offerings, like Come Out and Play. “Music of the Night” from Phantom of the Opera, on the other hand, just doesn’t work that well for Snider. Trans-Siberian Orchestra might be able to pull something like this off with their huge band and voices, but it’s not quite rock enough for Dee. The same could be said of “Tonight/Somewhere.” It’s just too big a number for Dee’s vocals, though Patti LuPone’s parts are, for the most part, not bad. A few jazz standards get mixed results. Snider does surprisingly well on the jazz portion of “Mack the Knife.” I almost like it better than the rock part. “Luck Be a Lady Tonight,” though, is a steaming hot mess. It’s pretty rough before it gets metalized. The squealing, screaming in-your-face guitar riff brings it up a notch, but the vocals are still way too over-the-top. It’s like Dee Snider’s normal on-stage persona cranked up to 11. And Clay Aiken? Really? “I Get a Kick Out of You” is handled as an interesting blend of dark and playful. 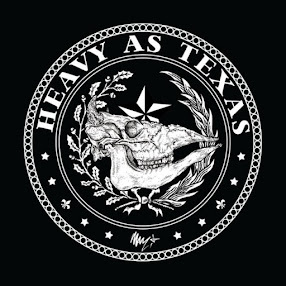 At times there’s a little too much going on – a common occurrence here – but I love the main guitar riff. Most everything, though, is at least entertaining. “Big Spender” becomes a kind of Blue Oyster Cult number that’s cool, though some of Cyndi Lauper’s parts annoy. “The Joint is Jumping” is a natural for the rock treatment. 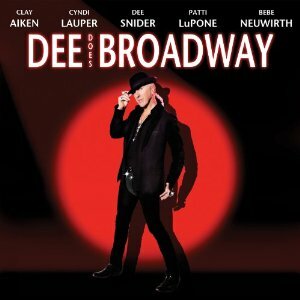 At the end of the day, Dee Does Broadway is Dee Snider doing what he’s always done best – hamming it up. He’s never been accused of being the quiet, artiste type. He wants every eye in the room looking at him and every ear listening. You might be watching for something great or for a train wreck, but you’ll be watching. He attacks (sometimes literally) the songs here with the greatest of gusto, and it’s obvious that he’s having a blast. Just listen to the crazy, fun version of South Pacific’s “There is Nothing Like a Dame” for all the proof you need. The record is not likely to get Dee any starring roles on Broadway – though I’d much rather watch him in “Rock of Ages” than guys like Tom Cruise and Alec Baldwin – but I for one, love it. It’s pure Dee Snider, and even when it’s bad, it’s good.